This study is an attempt to determine the role and impact of the bicycle on people’s lives in the rural areas of Burkina Faso. The aim is to understand the importance of the bicycle as a means to make routine tasks easier and, furthermore, to better understand how it contributes to the improvement of the prevailing living conditions in the longer term. 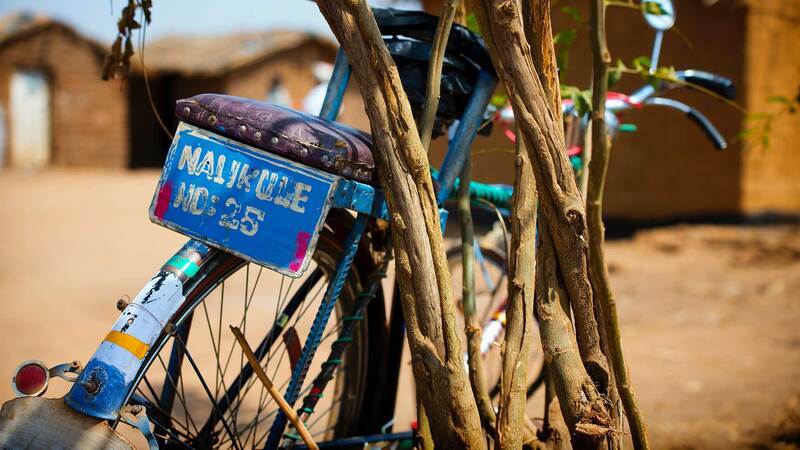 The bicycle in part gains its importance from the fact that the population of rural Burkina Faso is strongly affected by a widespread lack of infrastructure. As a result, people most often face large distances separating them from the places they have to reach. Therefore, an adequate means of transport is required by them not only to avoid wasting long hours walking on a daily basis but also to prevent them having to suffer from transporting heavy loads by foot. It can be said that people having no choice but to walk are prevented from taking full advantage of their potential. Taking the prevailing conditions in rural Burkina Faso into consideration, the findings in this study showed that the use of the bicycle resulted in an extensive amount of time being saved. As such, it is not only possible for people to accomplish tasks more efficiently but also to enlarge the number of activities being done. Furthermore, people have been able to diversify the range of their activities by having gained the possibility to overcome further distances providing access to more remote places. In addition, the usage of a bicycle proved to relieve its users while walking or while carrying heavy loads and enabled them to increase the amount of goods they were able to carry at one time. As a result of these advantages, the study has been able to illustrate that people using a bicycle have been able to create less arduous working conditions for themselves. This has also empowered women to take on varied tasks. Moreover, the use of bicycles has led to a strong increase in earnings and savings. Since the resulting additional funds would generally either be reinvested in further income generating activities or for the purpose of an overall improvement of the living conditions, the bicycle has offered its users the possibility to slowly overcome poverty. The study therefore concludes that the bicycle has proven to have a paramount role in enabling people in rural Burkina Faso to improve their living conditions by their own efforts in the longer term.